It’s ba-ack...fall foliage has settled in on the Granite State once again and this is your year to catch the spectacular show. Want to get the most out of your New Hampshire leaf peeping excursion? Take a hike! No really, whether you're out for a grueling workout or a slow exploration with the kids, hiking beneath the fiery foliage is the best way to appreciate the fleeting colors. Not to mention, New Hampshire has some of the best hiking in the country...OK, maybe I’m a bit biased. But honestly, with 48 4,000 footers and challenging granite rocks just waiting to be scrambled, New Hampshire is an adventurer's dream. Add fall foliage and that crisp autumn air to the mix, and it’s pretty much heaven. This short, family-friendly hike offers spectacular fall views of New Hampshire and neighboring Vermont and Massachusetts. The fire tower is still active in high fire season, and hikers have the option of a short loop hike or a direct there-and-back walk. Fall can be an incredibly active season for wildlife, whether it is deer entering the rut, birds migrating south, or local species preparing for a long winter. Head to Great Bay for ADA-accessible and family-friendly access on boardwalks over exceptional wetland habitat. Distances will vary according to your ambitions, but the William Furber Ferry Way Trail is a great choice at just over 2 miles. 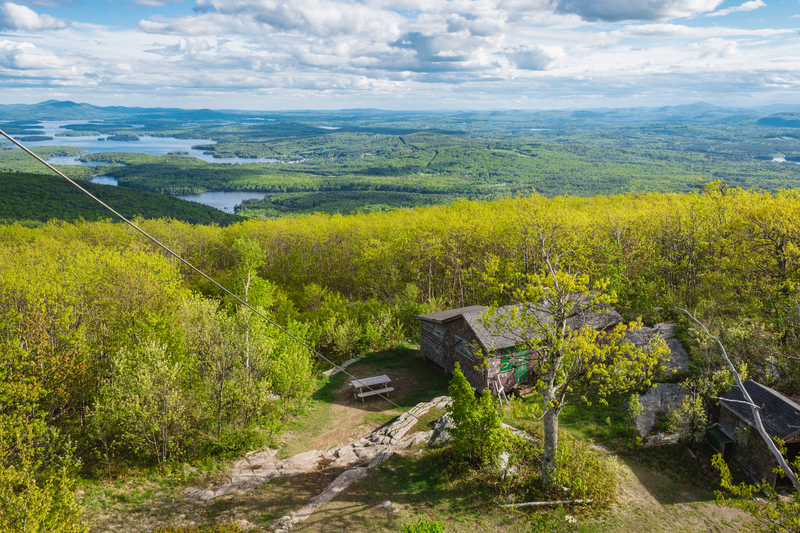 ​Located in Kearsage State Forest and easily accessible via car and a short walk, Mount Kearsarge provides big views toward Mount Cardigan, Mount Sunapee, and Mount Monadnock. This is another great choice for families with little hikers, though some assistance may be required as the terrain gets a little rocky near the top. Steadily ascend the 4,000-foot Mount Starr King via this 7.2-mile round-trip trail through quiet and remote forests. During the fall you’ll be surrounded by fall foliage as you hike past historical remnants, and expansive views of the Presidential Range. A crisp fall day is the perfect time to ascend Mount Madison, a 5,000 footer at the northern end of the Presidential Range. You’ll spend most of the 8.4-mile round-trip hike sheltered in turning trees, eventually reaching an awesome peak with views of the surrounding mountains. With exposed granite, a historic hikers cabin, and fiery fall foliage, this 7.8-mile round-trip hike is an iconic and challenging New Hampshire adventure that you can stretch into an overnight excursion. This 6.2-mile round-trip hike on the Tecumseh Trail is gradual and easy compared to other routes up this 4,000 footer, meaning you’ll have more energy and time to enjoy fall foliage. At the summit, soak in views of the sea of autumn awesomeness. Find historic sites and amazing views on this 3.4-mile loop trail. This pleasant, and family-friendly hike leads you to the summit of Red Hill where you can spend some time enjoying the fall foliage from a fire tower or a hilltop picnic table. The view from the top of the Red Hill fire tower. Photo by Stephanie Graudons. This easy 3.2-mile round-trip hike offers big views. Perfect for families, beginner hikers, and dogs, this trip allows all kinds of adventurers to access the big views of fall foliage painted across surrounding mountainsides and valleys. Part of Franconia State Park, Mount Flume + Mount Liberty offer a less crowded hike compared to more popular neighboring mountains. Passing rocky brooks, and summiting two peaks, the 9.8-mile loop will have you reveling in the peaceful beauty of nature and the awesome accomplishment of sore legs. The 2.8-mile loop to the summit of Pack Monadnock and back is a local favorite and makes for a quick day hike that you can squeeze in between apple picking and hayrides. This 3.1-mile round-trip hike is one of the most popular in the Southern Lakes Region for its panoramic views, meaning you’ll be able to indulge in sights of the surrounding fall foliage AND stunning lakes. Want to spend the whole weekend hiking through New Hampshire’s famous fall foliage and bag eight 4,000 footers while you’re at it? Take the famous Pemigewasset Loop through the White Mountains. You can spend one to four days hiking the 31.5-mile trail. This easy 1.5 mile round-trip hike is the perfect way for the whole family to enjoy the fall foliage and the crisp autumn air. Take the time to loop back to Artist’s Bluff for great views of the foliage reflected on Echo Lake. For a short and strenuous hike with a big reward, trek 3.2 miles to Lonesome Lake, where you can enjoy the fall foliage at the water’s edge and even stay overnight in the Lakeside A.M.C hut. Looking for more New Hampshire adventures? Visit NH is a great resource to learn about this beautiful state and how to best explore all that it has to offer!